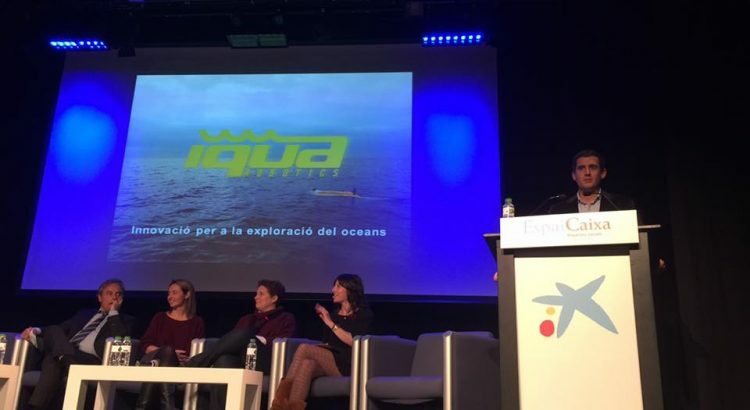 Marc Carreras participated in the local workshop ‘La Girona de les solucions’ organized by ‘En Positiu – Periodisme de les solucions’ Spanish association with the support of the local instituions. The event aims to support the new entrepreneurial initiatives taking place in the city of Girona and makes them available to the general public. This presentation was a bit different than the ones we are used to as it was open to a wider public. Marc explained the importance of underwater robotics for the exploration of the sea, making emphasis in its impact for the future of the society. After the event, several radio and television stations visited the entrepreneurial team of IQUA for knowing more about the company and its products at its facilities in the Science and Technology Park. Article in La Vanguardia newspaper. Article in El Punt Avui newspaper.